"I'm not lazy, I just don't have time to go shopping. I run out of makeup and skincare." No more excuses ladies, you can be busy and still have time to shopping for makeup or skincare. 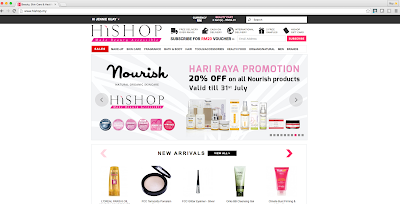 This is a list of Online Beauty Store that is available in Malaysia. 10% discount voucher/s. Voucher/s are for one time use only and valid for 6 months. Not valid with other promotions and discount. Every subsequent 250 points accumulated will entitle you to a 10% discount on your next purchase in-store or online. Exclusive invites to Sephora private sale, events, workshops and updates on offers and promotions. In this online store, beside beauty products, you can buy health food such as detox tea, vitamins, collagen and more. Payment: credit card, paypal, online bank transfer, cash on delivery ( KL, Selangor, Johor) Shipping fee: Free delivery for orders RM100 above, Rm10 for orders below RM100. Return Policy: within 14 days( shipping is not refundable) Loyalty: Earn and collect Hishop Points, Every 100points exchange Rm1. You can purchase The body shop products through online now. The best part is that you can make an online gift purchase, and even arrange a specific date to be delivered. Payment: credit card, online bank transfer, cash on delivery ( KL, Selangor, Johor) Shipping fee: Free delivery for orders RM100 (WM)RM150( EM) above , Rm10(WM)RM15(EM) for orders below RM100 Return Policy: within 14 days( shipping is not refundable) Loyalty: Every month offer different promotion. This is an official M.a.c cosmetic online store. Some of the Mac product you can only get certain through their online store. The best part about this website, is that you can personally email an artist, you can any question about how to apply your makeup, and which product suit you. Payment: credit card, online bank transfer Shipping fee: free delivery for purchase above Rm200. shipping fee RM12.70 (wm), RM21.20( em)purchase Below Rm200 Return Policy: within 14 days( shipping is not refundable) Loyalty: Every month offer different promotion on website ( currently free delivery on any purchase (until 30/6/2016). 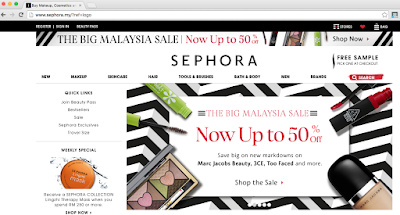 You can purchase USA drugstore makeup brand such as jordana, nyx, Iheart, and EOS lipbalm. Payment: online bank transfer, manual bank transferShipping fee: free delivery for purchase above Rm150. 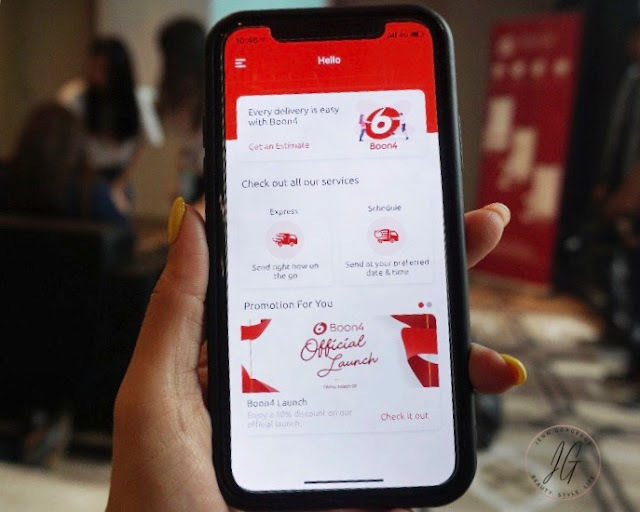 shipping fee RM5.50 (wm), RM10.50( em)purchase Below Rm200 Return Policy:must contact them within 48 hours, only refund in store credit ( with 3 month expiration date) ( return shipping is refundable ) Loyalty: Reward program, earn 1 point for every Rm1 purchase. Receive freebies for all orders. Korean fever ! 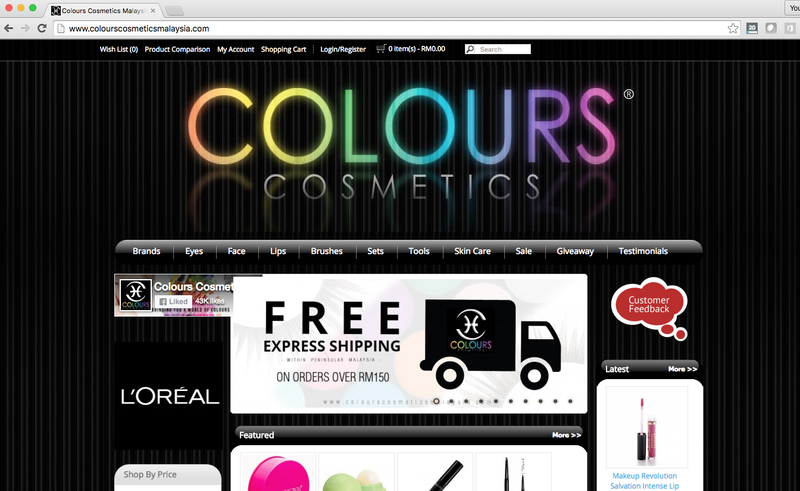 More and more korean beauty product online store available in Malaysia. I love how they put effort on the parcel packaging, beside that you can get free shipping for purchase above Rm150. Payment: online bank transfer, Paypal, credit cardShipping fee: free delivery for purchase above Rm150. shipping and handling fee Rm34 for below Rm150. Return Policy:within 30 days( RM6 of shipping fee refundable)Loyalty: For new customer sign up for newsletter Get RM15 credit (without minimum purchase), enter "Jenngorgeous" Get RM5 off your purchase. 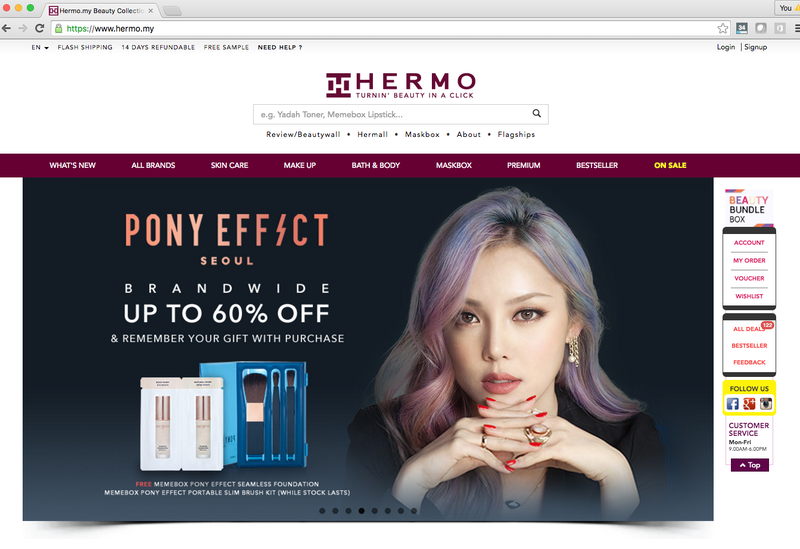 Another Korean beauty store, but this webstore also provides dropship service, you can purchase any korean website and they can arrange for delivery to Malaysia. Repacking service also available in order to have all your order to be ship. 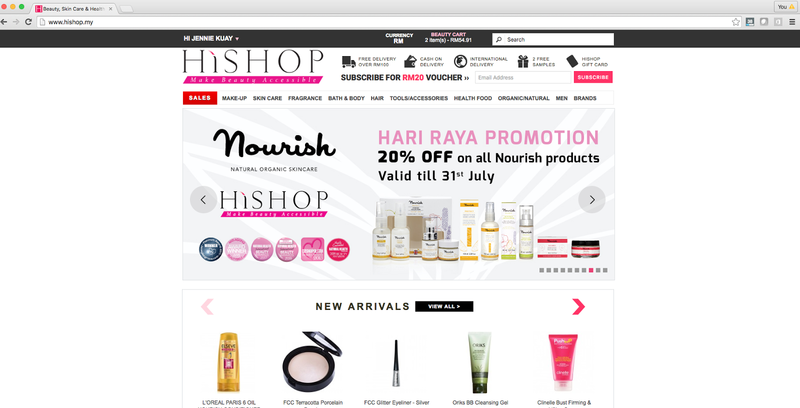 This is another famous beauty store in Malaysia, they are also now available through Online. You can find a lot of brands that is not available at other beauty store. Payment: online bank transfer, Paypal, credit card, manual transfer Shipping fee: free delivery for purchase above Rm100. Return Policy:contact them within 24 hours ( shipping fee non refundable) Loyalty: Free gift wrapping service. 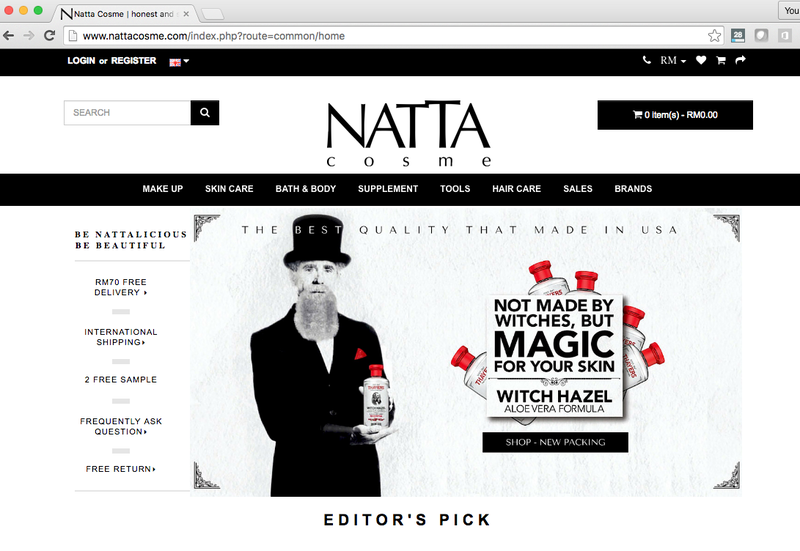 Natta Cosme started from 2011, they carried authentic products from USA, UK, Taiwan and Japan. 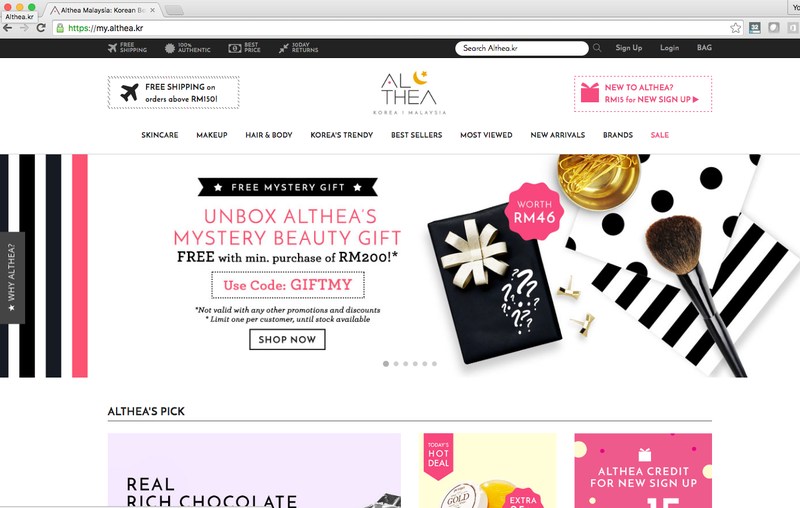 I think this is the only beauty website that offer gift voucher( you can buy any amount).You get 2 free sample in every order. You can pay via 7-11Cash payment ( I never tried this before). If you know any website that sell beauty products that is not in the list, please leave a comment down below and I'll add it in. I will update more in the future.